Enlarge / Get used to never seeing this Guitar Hero TV screen (or any like it) starting in December. In an unceremonious blog post this weekend, publisher Activision announced it will be shutting down the servers for Guitar Hero Live‘s “Guitar Hero TV” mode effective December 1. The move will effectively end access to hundreds of playable songs available only in that server-streamed mode. The retail version of Guitar Hero Live also includes a 42-song “on-disc” soundtrack on consoles, and those songs will still be playable following the server shutdown (an iOS version, which has already been removed from the App Store, will no longer be usable at all as of December). But the game eschews the usual option of purchasing additional songs as downloadable content. Instead, Guitar Hero Live players have free access to the few songs being streamed live at that moment on a handful of curated, rotating Guitar Hero TV channels. Players can also use in-game rewards or microtransaction purchases to essentially rent access to those online songs on-demand, including a “party pass” that gave time-limited access to all available songs. Both of these options will be cut off in December, and the in-game microtransaction purchases that help power those on-demand plays have already been shut off. He compared the Guitar Hero TV mode to streaming music options like Pandora and Spotify, which offer a wider selection of music than anyone can reasonably own with little to no upfront cost. 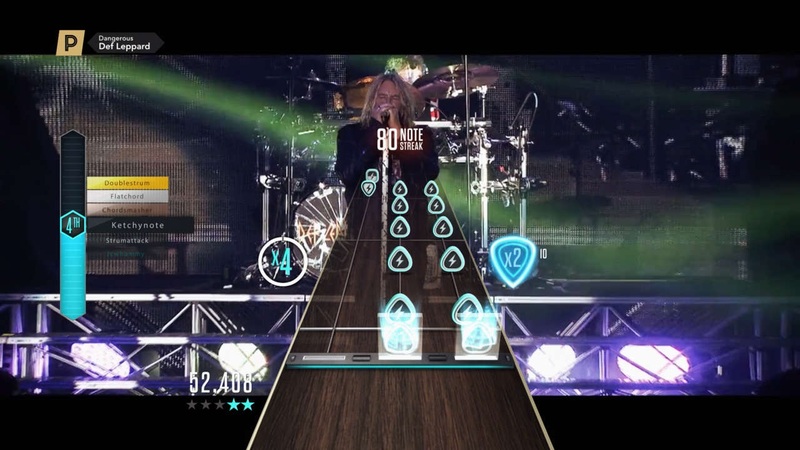 The Guitar Hero TV mode has definitely provided a wide selection of playable music since launching with 200 songs in October of 2015. After that, Activision added six to nine new songs every week through April 2016, slowing to three new songs a week through the end of 2016, and then dropping down to an occasional trickle ever since. All told, 484 songs are currently available for Guitar Hero TV play, though only one of those was added in the last year. The downside of this expanded streaming access, of course, is that it only lasts as long as Activision is willing to provide it (which is, apparently, through November 30). While launch day purchasers have had more than three years of access to a library of hundreds of songs, the fact remains that existing copies of Guitar Hero Live will be severely limited as of December. If a nostalgic player or historian wants to try out any of those hundreds of Guitar Hero TV songs using Guitar Hero Live‘s unique 3×2 fret guitar in the coming years, they’ll be out of luck. Contrast that with the Rock Band series and its still-growing selection of more than 2,000 DLC songs. Even when some of those songs are removed from the store for licensing issues, the downloaded versions can still be played on the original hardware and instruments. Even better, I can still play downloaded and on-disc songs from the original 2007 Rock Band release on the updated version of Rock Band 4 to this very day. As we’ve seen many times in the past, the era of streaming entertainment has been great for convenience but poor for ensuring permanent access to content. But streaming services like Netflix and Spotify exist alongside separate services that let you purchase and download local, persistent, à la carte copies of most of those same songs, movies, and TV shows. There’s no similar option to save the vast bulk of Guitar Hero Live content past November. Even if you’ve never played Guitar Hero Live, the server sunset is something to keep in mind as Nintendo moves away from a downloadable “virtual console” of classic games and toward subscription access to a smaller selection of older titles. We’re already used to online game access being shut down at the whim of the companies running the servers. Now we’re entering the era where even some single-player games become largely unplayable once their servers no longer remain profitable.